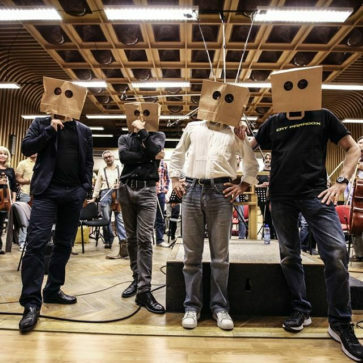 Cat Paradox is an electro-symphony music project based in Milano, Italy. “Brain”: composer, producer, arranger, vocoder, synth. “String”: vocoder, synth and electric harp. We come from 2057. No anticipation ’bout the future!